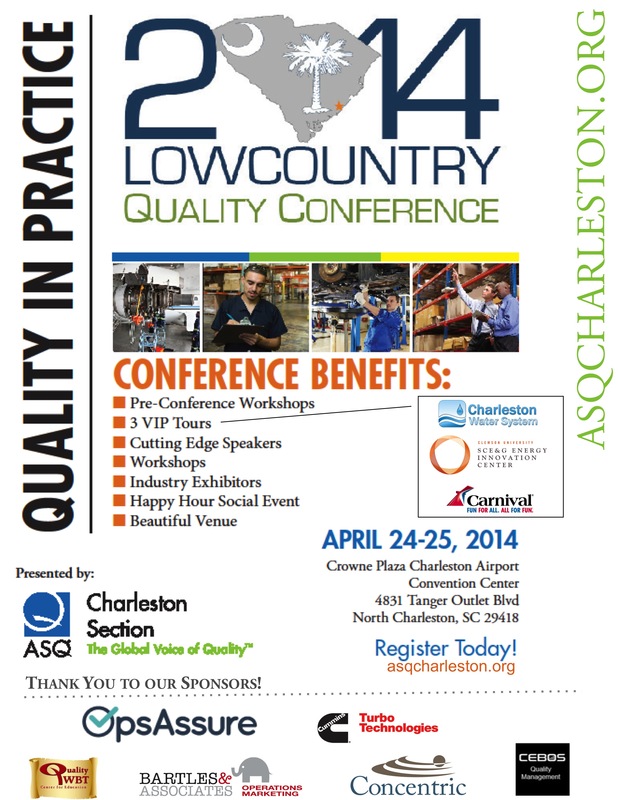 ASQ Charleston invites you to the 2014 Lowcountry Quality Conference. The host for the conference is ASQ Section 1122, which represents the greater Charleston, South Carolina Metro Area. 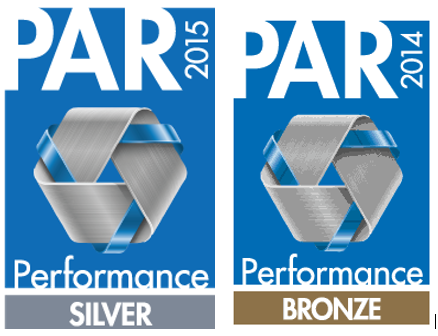 Conference news, speaker status, agenda and other details will be posted on our website at http://asqcharleston.org. Guests coming in from outside of the area are encouraged to book a room at our discounted rate of $129/night using group block name “American Society for Quality – ASQ” at the time of making reservations. Each individual guest must make his/her own reservation by calling 843.744.4422 by 3/27/14. All reservations must be accompanied by a first night room deposit or guaranteed with a major credit card. Questions, comments or concerns? Contact Conference Chair – Jim Thompson at jim.thompson@cmsicharleston.com or 843.469.8279. *Note: Event is open to friends, family, co-workers, etc.